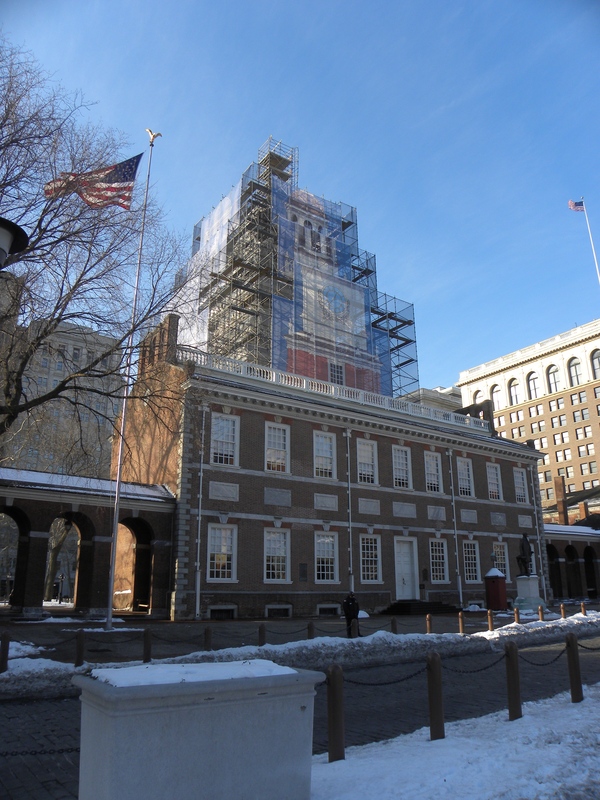 Scaffolding surrounds Independence Hall during preservation of the clock tower three years ago, 16 January 2011. 18 Dec	This entry was published on December 18, 2013 at 7:50 am and is filed under Historic Preservation, Old City. Bookmark the permalink. Follow any comments here with the RSS feed for this post.